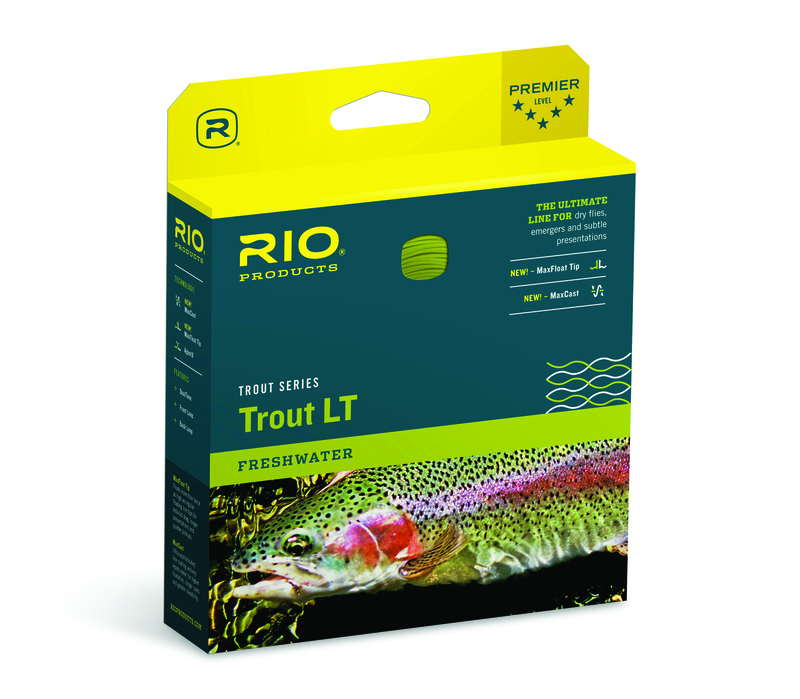 Description The Rio Trout LT series DT and WF is an updated line, incorporating Rio's latest floatation and line shooting Molecular engineering offering the angler fishing trout and similar sized species with small light flies the most delicate presentation to spooky fish. 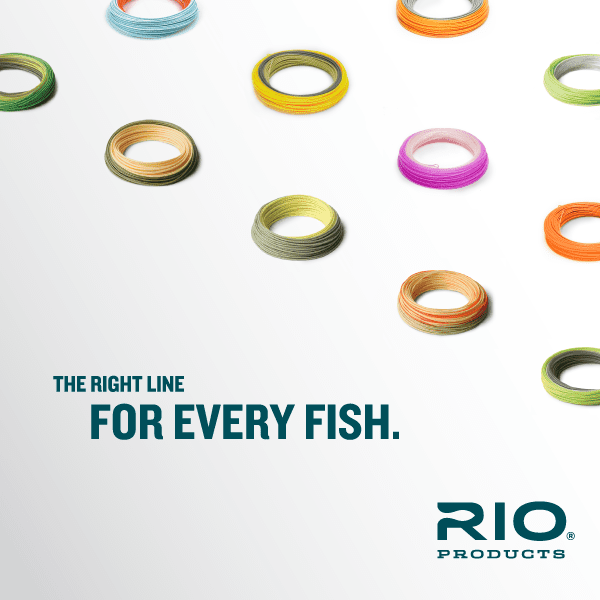 Guide Reviews, Video, and Sales on Rio Trout LT series DT and WF Fly Lines, lines as light as 000 and up to 7 wt. Plenty of fly fishers require delicate presentations of small to modest sized, non-weighted flies. Back to our roots. Spring Creeks. Crystal clear Virginia brook trout streams. Even spooky estuary sea run cutthroat are on the menu when fishing the Rio Trout Rio Trout LT series in either a DT or WF taper. Loops at both ends of these fly lines make installation and fishing clean and simple. Line Taper: This line whether the Weight forward or double taper version, is constructed with long slender tapers. This taper design allows gentle presentations of small dry flies, wets, and flymphs. PLEASE NOTE the Line Taper Chart inset above. Overall/Head Length: approximately 80-100'/45-50' gradually increasing with line wt. Double Taper lines are from 80-90� long. Traditional or Spey casting application: This fly line is principally designed for the traditionalist overhead cast. That said, the DT line taper is also amenable to use of Spey style casts with light switch rods or using a single hand rod to execute Spey style casts. 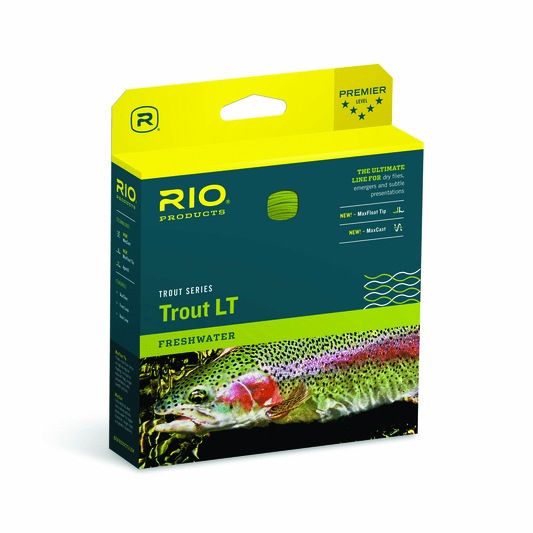 Floating Properties: The Rio Trout fly line series incorporates the new Max Float technology to give even more dependable floating qualities. Welded Loops: The front and back ends of these LT trout series fly lines sport welded loops to ease the process of quick rigging to backing and attaching leaders.